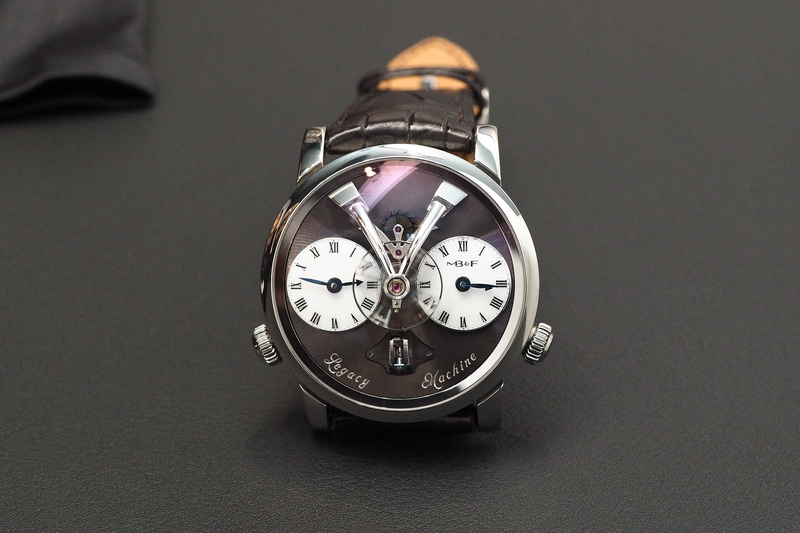 Six years after the launch of the Legacy Machine N°1 (LM1), MB&F has announced the LM1 Final Edition. Consisting of round cases, white lacquer dials, Roman numerals, and traditional finishing – the Legacy Machines contrast the signature eccentric designs of MB&F’s Horological Machines. 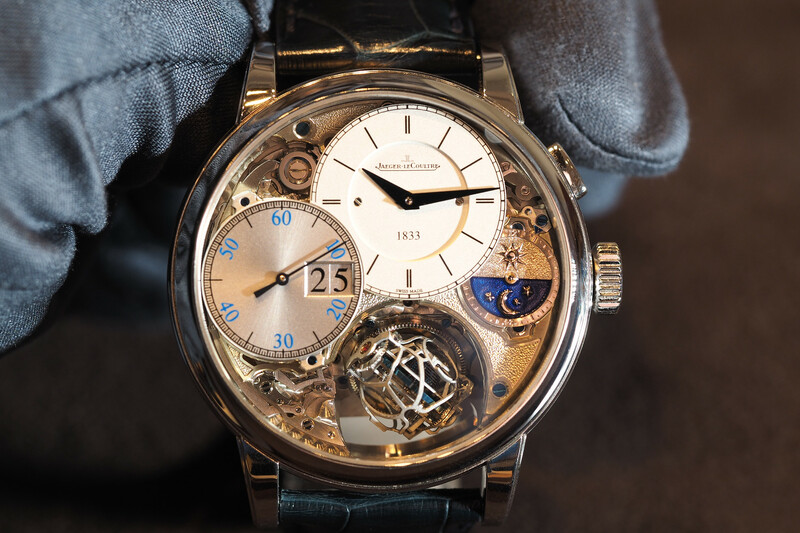 The LM1, produced with the help of Jean-François Mojon and Kari Voutilainen, represented three world firsts: a suspended flying balance wheel, fully independent dual time displays, and a vertical power reserve indicator, according to MB&F. Over the six years since the initial LM1, approximately 435 LM1s have been manufactured, in gold, platinum, and titanium; with dials in blue, gray, and green. 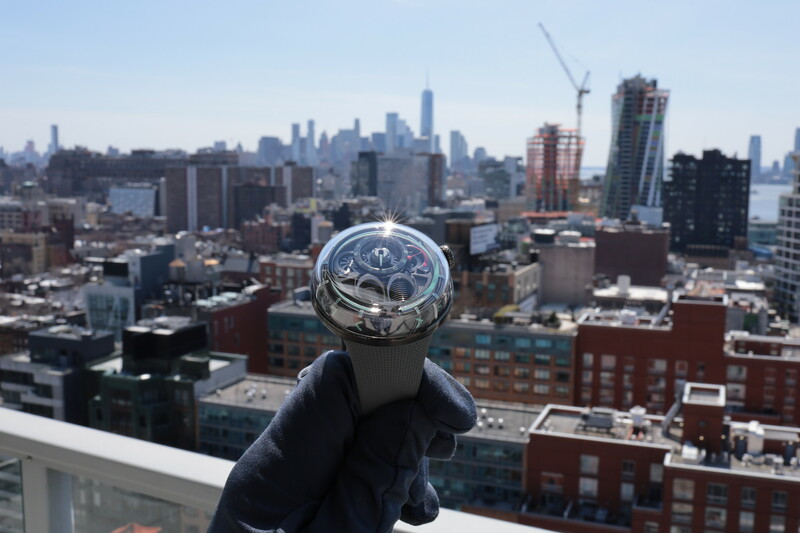 And now, MB&F presents the final LM1 in stainless steel, a first (and last) for the LM1. Additionally, the dial color, brown, is new. Moreover, the LM1 Final Edition has a new balance bridge, cambered and tapered in the style introduced with the LM101 and LM Perpetual. The retail price is $79,000. Limited to 18 pieces. Seeing the Legacy Machines up close is a treat, as the finishing both front and back is exquisite. Not to mention, watching the balance wheel (or wheels), is mesmerizing. 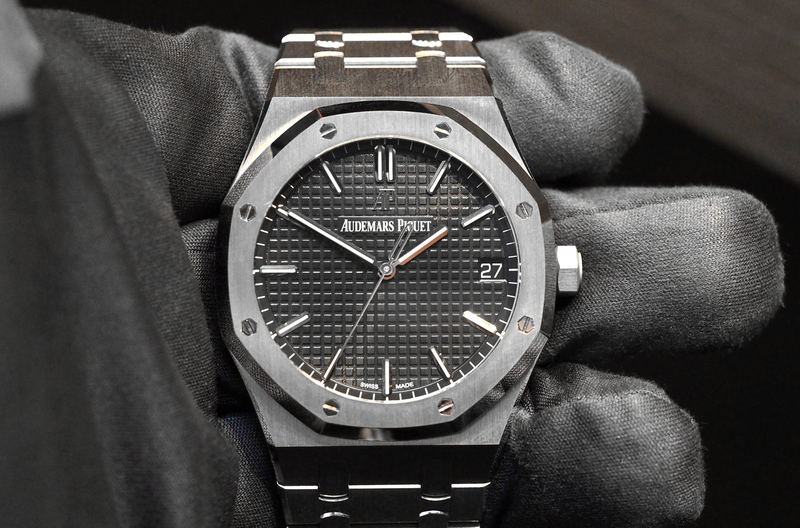 And as far as collectibility, I suppose cutting production should only make the timepieces more valuable, at least in theory. That said, I do wonder how cutting production on existing model, especially one of the company’s best-sellers, is viable. But then again, that is part of the appeal of the non-traditional strategy seen at MB&F from day one I suppose. Previous articleCollectingBao Dai: The Most Expensive Rolex Ever?